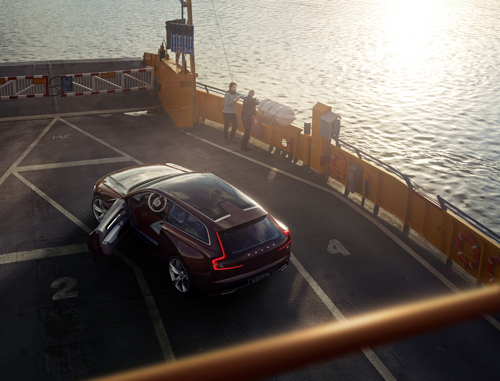 2014 – Volvo Concept Estate on Bodilla färjan or ferry which runs in the Fårösundsleden from Fårösund to Fårö on Gotland, Sweden. Bodilla färjan or ferry is a ferry that runs in the Fårösundsleden between Fårösund to Fårö on Gotland, Sweden. There are two ferries crossing the Fårösundsleden, Bodilla and Nina. Fårösundsleden is the connection to Fårö with the outside world and a ferry that runs between Fårösund (on Gotland) and Fårö. The distance is about 1.5 kilometers long and are frequently used during the tourist season as it often occurs queues on both sides of the ferry route. 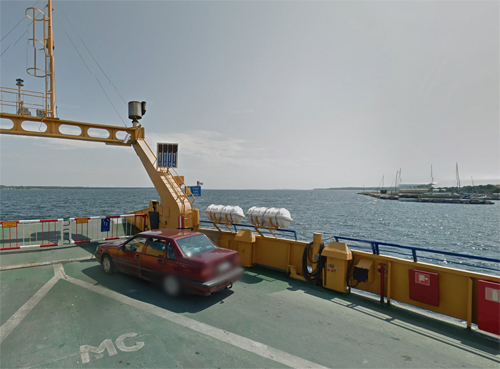 Travellers with permanent accommodation at Faro have priority with access to the ferry. During high season running the two ferries as often as they can. Crossing time takes about 6-8 minutes. 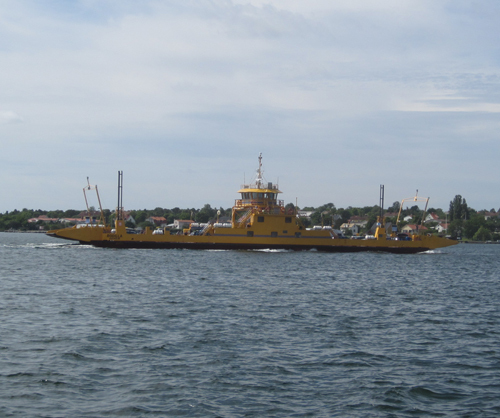 Throughout the summer, ferries every half hour in the morning and evening, and every fifteen minutes during the day. During winter it always every half hour. 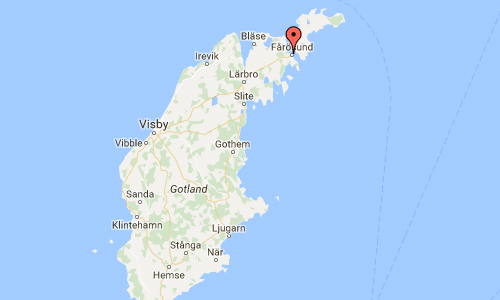 Fårösund is a locality situated on the Swedish island of Gotland with 800 inhabitants in 2014. The village can be reached by car from Visby. 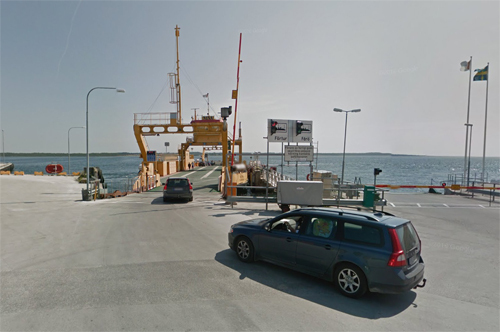 The island of Fårö can be reached by ferry from Fårösund. 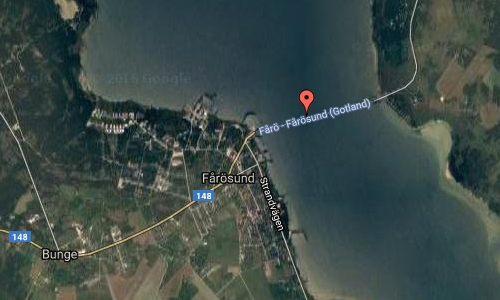 Fårösund is the northernmost town in the municipality of Gotland in Gotland County, about 56 km (35 mi) north of Visby. Fårösund is situated on the seafront overlooking the island of Fårö and is visited by tourists during the summer, but it is usually a quiet community in the autumn, winter and spring. Until the mid-1900s it was a small quiet resort as well as a ferry terminal for ferries to Fårö. Fårösund is also the name of the strait between Gotland’s “mainland” and Fårö. Färjan Bodilla is built in 1976 (renovated in 1994) by Lunde shipyards. It has a capacity of 298 passengers and 40 cars. More information at sv.wikipedia.org, www.skargardsbatar.se and www.trafikverket.se.